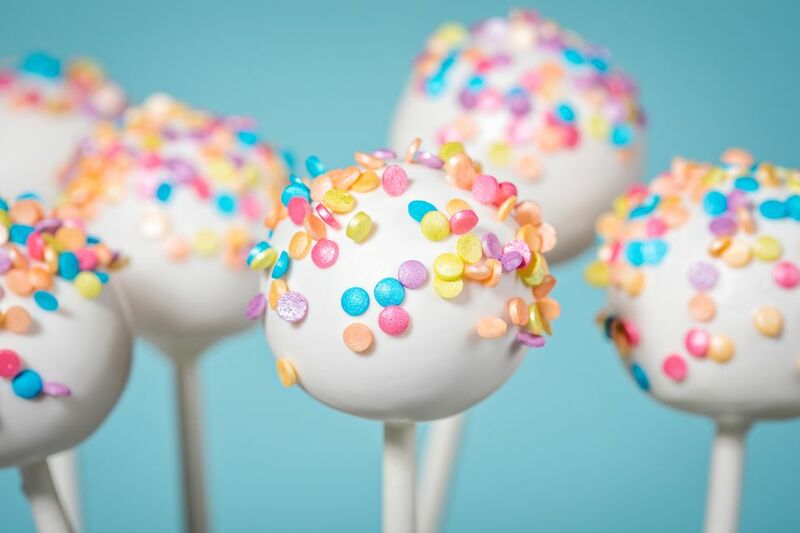 Cake pops are all the rage and they can be dressed up as elegantly as you like for any occasion like bridal shower and wedding favors or turned into wacky characters the kids will love. There are many recipes for cake pops and zillions of pans and countertop bakers for this treat. These pops, however, are made with crumbled cake crumbs (the kids love to smoosh up a cake) brought together with frosting. Of you can use crumbled cheesecake (minus the graham cracker crust!) that is moist enough to be moldable without the frosting. Just imagine one of these at every child's place for a kid's birthday party! And it's a fun project the get the kids involved in, especially when the weather is inclement for outdoor play, there's no school holiday in sight for months to come, and you want to pull them away from their electronic devices. It's really an all-hands-on-deck activity. In a large bowl, crumble half of a 13x9-inch cake with the hands (use gloves if you can't stand messy hands) until no large chunks remain. Add icing and mix with fingers until well combined. Using a cookie scoop, portion into 18 balls. Roll between the hands until round and smooth. Place on parchment-lined sheet pan and freeze until no longer sticky, but not rock hard about 1 hour. Melt Candy Melts according to package directions. Dip one end of the lollipop stick into melted candy and insert into cake pops. Place back on the parchment-lined tray and freeze for 1 hour to set the stick in the pop. Add candy color to small amounts of melted chocolate and, working with one pop at a time (leave the rest in the freezer), dip in melted chocolate until completely covered. Shake off excess. Immediately roll in sugars or place decorations on. If chocolate dries too fast, you can use royal icing to apply decorations. Stick in a thick piece of Styrofoam to dry completely. Proceed with remainder of pops. If desired, place pops in a Cake Pops Gift Box or wrap in lollipop papers and tie with a pretty ribbon.